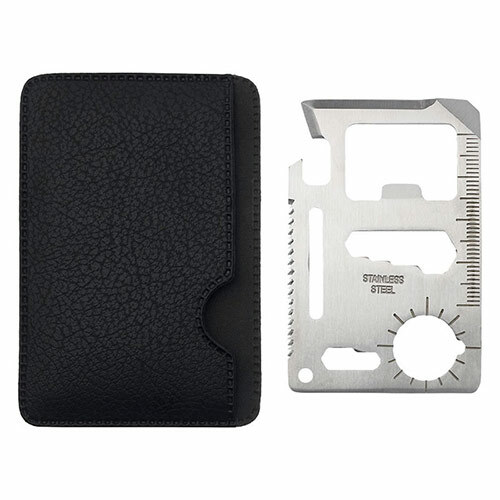 Quality stainless steel multi-tool in flat card design, with 15 functions including ruler, bottle opener, flat screwdriver, blade and saw. 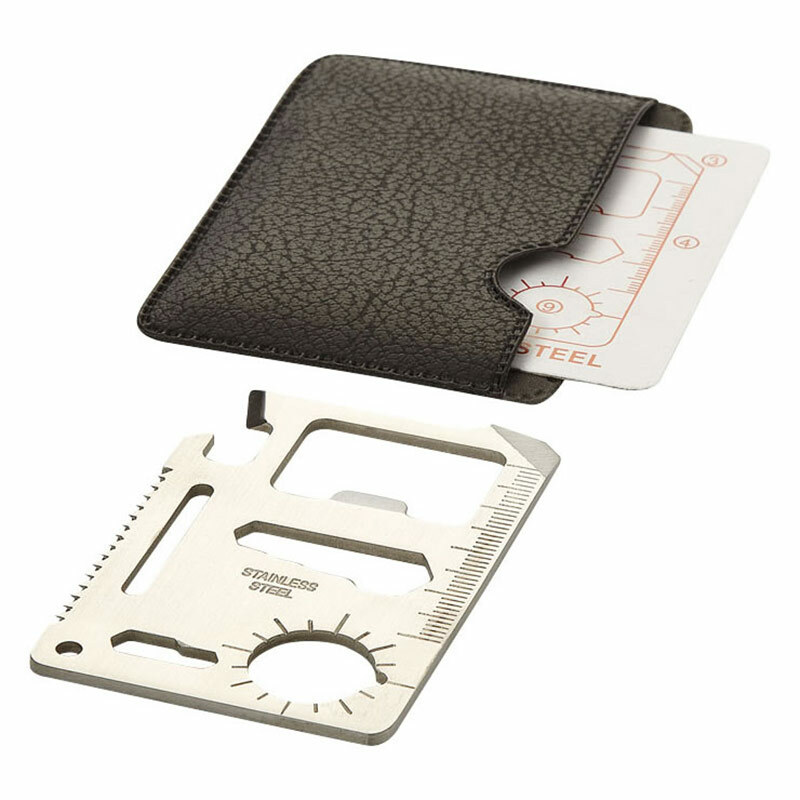 These pocket sized tool cards are supplied with an imitation leather pouch and offered here with text and/or logo engraving options. Product size: 8cm x 0.3cm x 5.5cm. Weight: 35g.